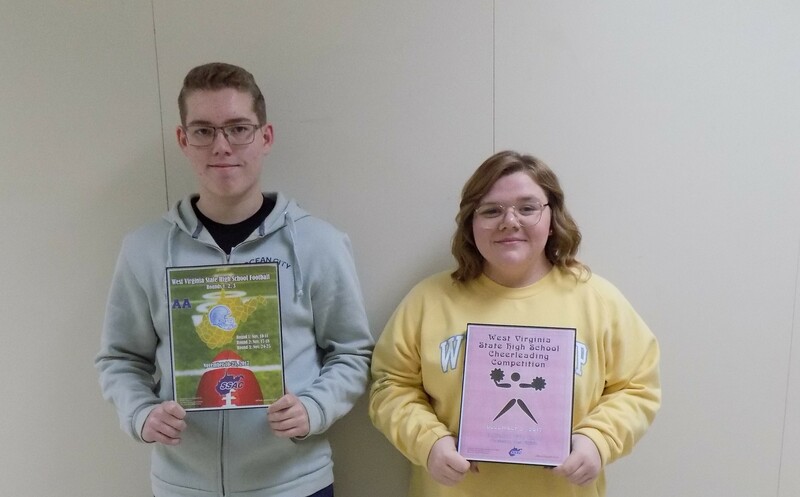 In Mrs. Murphy’s 1st semester desktop publishing class, Cami Hypes and Mason Epperly won WVSSAC cover scholarships. Cami and Mason each won a $200 scholarship and had their designs featured on the cover of two different WVSSAC programs. Mason’s design adorned the cover of the West Virginia State High School Football Rounds program. Cami’s design won the contest for the West Virginia State High School Cheerleading Competition program. They are the first NCHS students this school year to win scholarships.